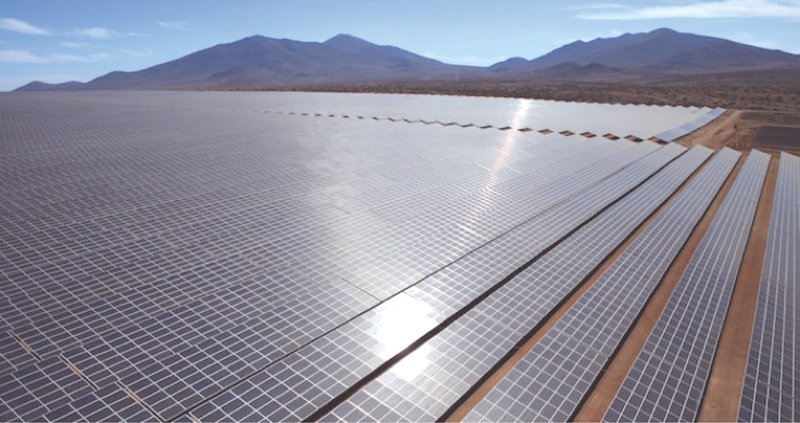 California has broken two solar milestones! The state of California has demonstrated that photovoltaic (PV) solar energy can become a big portion of its energy supply by setting two records, both in PV production and demand, the latter by serving 49.5% of its population last Sunday night (at 12:58 p.m.). This is part of a close race for the sun, where countries such as India, United States, Japan, and China seem to really appreciate the sunlight and are trying to make the best use of it. Since 2004, Germany has been leading the world in PV solar energy, currently dominating the installed PV capacity per capita, followed by Italy. Coincidently both countries implemented effective feed-in-tariffs which accelerated investments in solar energy. 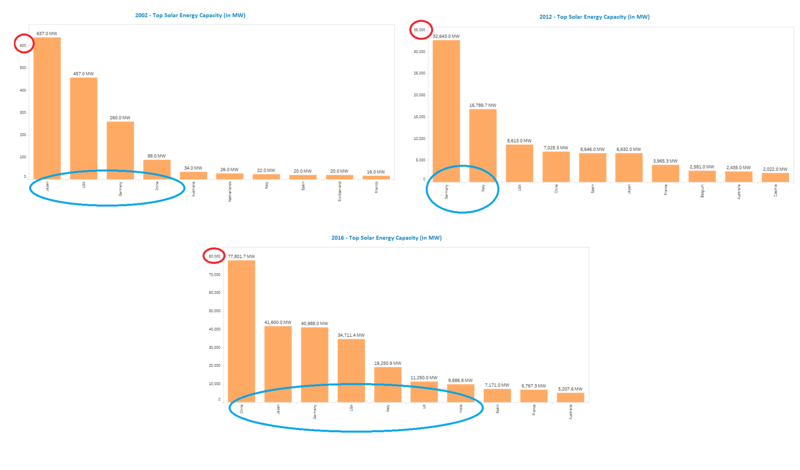 Ironically, as a response to unexpectedly high installations, robust tariff degressions (decrease in rates) for solar were prompted in both countries (2012 in Germany and 2013 in Italy) making them less attractive. Furthermore, in 2013 the EU imposed import tariffs (anti-dumping and anti-subsidy measures) on Chinese solar modules, planned to phase out by September this year. Since then, increments in solar PV capacity have stagnated, as in most European countries. Nonetheless, this does not stand true in other countries and states, such as California in the U.S., India, Japan and China (click figure below *). Two major factors are responsible for driving the adoption of solar energy nowadays. The first is the governments’ investment in solar, most significantly the Chinese government. In each of the above mentioned countries and regions, the later introduction of feed-in-tariffs is consistent with the time when their PV installed capacity started to boost (China being the current market leader), proving to be a very effective means of developing solar power. The second, and correlated factor, is the steady falling costs of installation since the last decade. Last January, the U.S. approved tariffs of up to 30% on solar equipment made outside (for the next four years), which is expected to affect the demand for new projects, as 80% of U.S. solar installations use imported panels. In spite of that, this measure is not expected to reverse the solar expansion, and is seen by many in the solar industry as a positive move to curb U.S. solar investments and will help rebuild and expand domestic manufacturing. We envision that the future with solar will be bright!